The Hearts & Shamrocks Cable Afghan Pattern is now available! This is sure to be an Irish heirloom in your home or a wonderful gift to give someone special. The finished afghan is approximately 48'' wide by 60'' long, It is made up of 4 panels knitted separately and then seamed together. 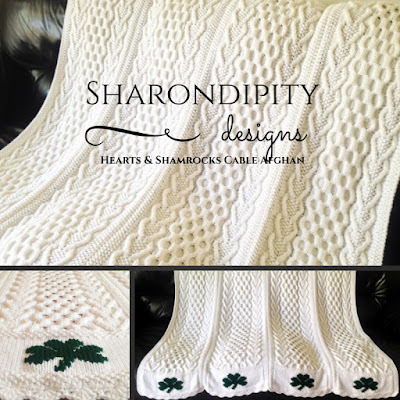 (You could do it it one piece by eliminating the edge stitches) The center of each panel has a maze of Cabled Cells, flanked by Seed Stitch Hearts and finished with a Shamrock at the base. The panel is surrounded with seed stitch Borders throughout and finished with a crocheted shell stitch trim. 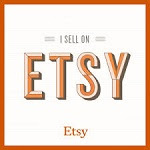 Included with the 4 page pattern are easy to follow instructions to guide you from beginning to end including materials, patterns and finishing instructions, as well as photographs.